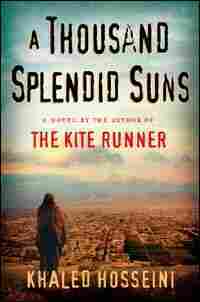 Khaled Hosseini's 'Thousand Splendid Suns' Khaled Hosseini's new book, the follow-up to The Kite Runner, the best-selling novel about Afghanistan, is called A Thousand Splendid Suns. The title comes from a 17th-century poem about Kabul. Khaled Hosseini reads an excerpt from A Thousand Splendid Suns. No one was more surprised than Khaled Hosseini when his first novel, set in Afghanistan, became a bestseller in America. The Kite Runner told the story of two boys growing up in Kabul, inseparable until a betrayal — followed by war and flight from war — tore them apart. His new novel is A Thousand Splendid Suns, a title that comes from a 17th-century poem — an ode to the city of Kabul. In it, Hosseini tells the story of two girls who grow close as women — unlikely friends who are brought together in the chaos of war. 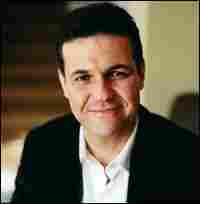 Hosseini was born in Kabul, the son of a diplomat and high-school teacher. At the time of the Soviet invasion of Afghanistan in 1979, when Hosseini was 11, his father was working in the Afghan embassy in Paris. The family requested and received political asylum in the United States, where Hosseini later went to medical school and became a physician. For Hosseini, Afghanistan "became this distant place suddenly for me," he tells Renee Montagne. "I emotionally kind of lost touch with what was going on. 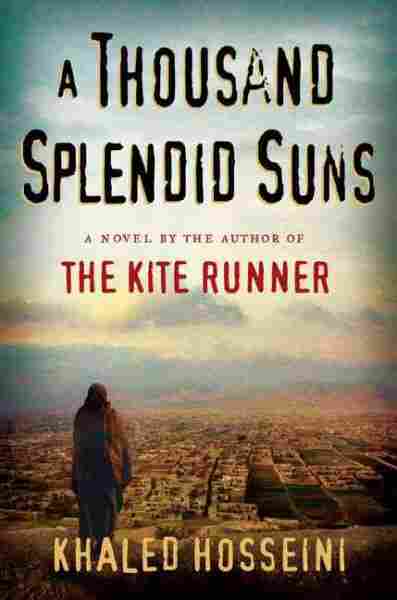 The writing of that first novel, The Kite Runner just kind of brought it all back to me." Hosseini returned to Kabul in 2003. "I think that when I went there and I saw the enormity of the suffering that people had gone through.... In some ways, you wonder why you were spared all of that and whether you have made good use of the good fortune that for sheer luck you've been granted," he says. It's the whistling," Laila said to Tariq, "the damn whistling, I hate more than anything." It wasn't so much the whistling itself, Laila thought later, but the seconds between the start of it and impact. The brief and interminable time of feeling suspended. The not knowing. The waiting. Like a defendant about to hear the verdict. But the flip side of being spared was the agony of wondering who hadn't. After every rocket blast, Laila raced to the street, stammering a prayer, certain that, this time, surely this time, it was Tariq they would find buried beneath the rubble and smoke. At night, Laila lay in bed and watched the sudden white flashes reflected in her window. She listened to the rattling of automatic gunfire and counted the rockets whining overhead as the house shook and flakes of plaster rained down on her from the ceiling. Some nights, when the light of rocket fire was so bright a person could read a book by it, sleep never came. And, if it did, Laila's dreams were suffused with fire and detached limbs and the moaning of the wounded. Morning brought no relief. The muezzin's call for namaz rang out, and the Mujahideen set down their guns, faced west, and prayed. Then the rugs were folded, the guns loaded, and the mountains fired on Kabul, and Kabul fired back at the mountains, as Laila and the rest of the city watched as helpless as old Santiago watching the sharks take bites out of his prize fish.